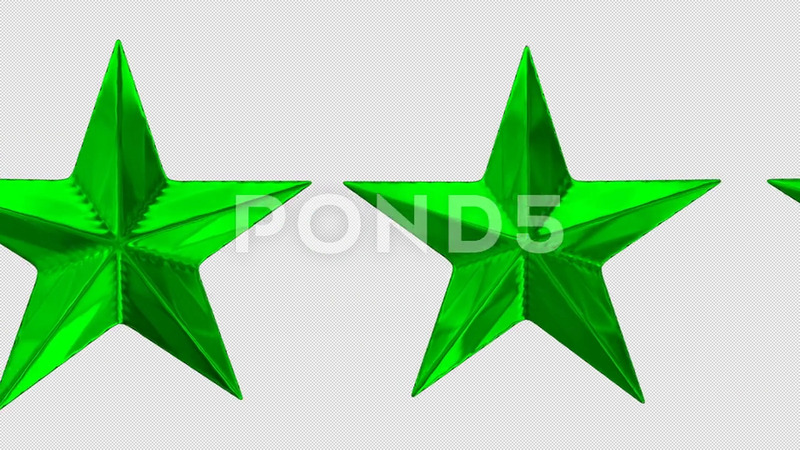 Description: Animated close up of rotating shinning green stars as in circle against transparent background and in slow motion. Alpha channel embedded with PNG file. High reflective surface.